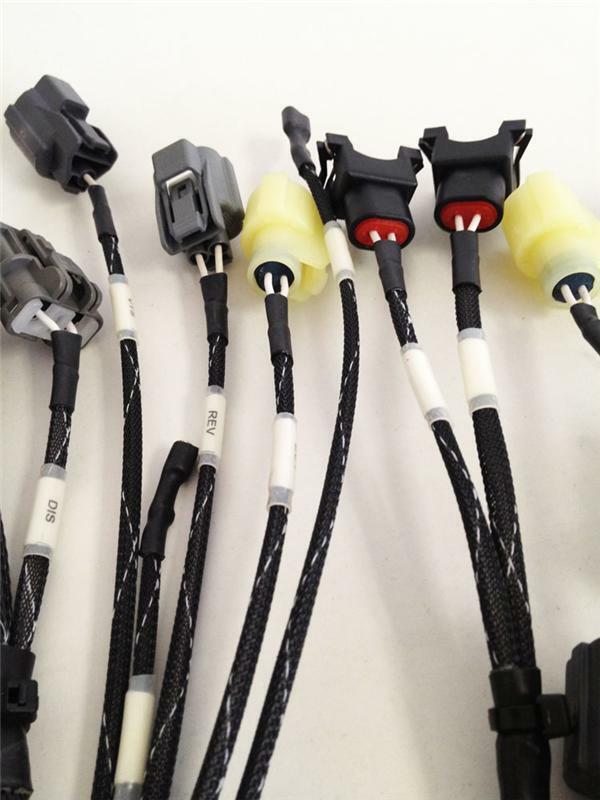 Notes: All OBD1 Harnesses can be ordered for obd0, obd2a and obd2b as well as obd1 chassis Civic/acura using B-Series Engine. Charge Harness Not included. This is only for the Engine Harness! All Connectors are Labeled. please specify on the comment box which injectors,alt,distributor and chassis you will be using this for so we can get you the correct one or one of our sales reps will contact you shortly after receiving this order. Our B-series wire-tuck engine harness is nearly identical to our Mil-spec engine harness line with the primary differences being the type of wire used, the single white wire color and expandable loom used. All connectors and materials are new. Each connector is crimped with pneumatic heads to ensure an OEM crimp every time, then tagged with a white identification label for easy installation. All heavy interference circuits are protected and grounded with proper wire covering. Our engine harnesses are 100% quality tested pin to pin; And resistance checked to ensure no voltage fluctuations. 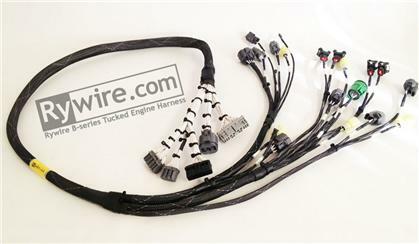 All Rywire engine harnesses are made with OBD1 (92-95) ECU Connectors. An ECU adapter can be used for OBD2 ECU’s if necessary however our harness does not support USDM OBD2 ECU’s. Aftermarket ECU’s using OBD2 plugs and Non-US OBD2 ECUs are compatible (except for H22 and GSR stock computers). Each harness will come with a custom back side sub-harness that will be proprietary to the chassis you choose on the drop down menu. This way if you ever change chassis you will only need a new sub-harness, not a whole new wire loom! These harnesses are warrantied and guaranteed to work, however they are non-refundable. Because the back-side (interior/shock tower connection) separates from the main harness, the engine harness can be used on multiple chassis provided the engine itself uses the same components. We sell the back-side harness separately only over the phone for previous engine harness customers. Vehicle Type: Select your vehicles chassis type. This tells us what interior sub harness to use for your setup. OBD2a ECU: If you would like to run this, this option will add the OBD1 to OBD2a ECU adapter for (+$90). Charge Harness: The “non-separated charge harness” option will add the Starter & Alternator leads -> to the fuse box. 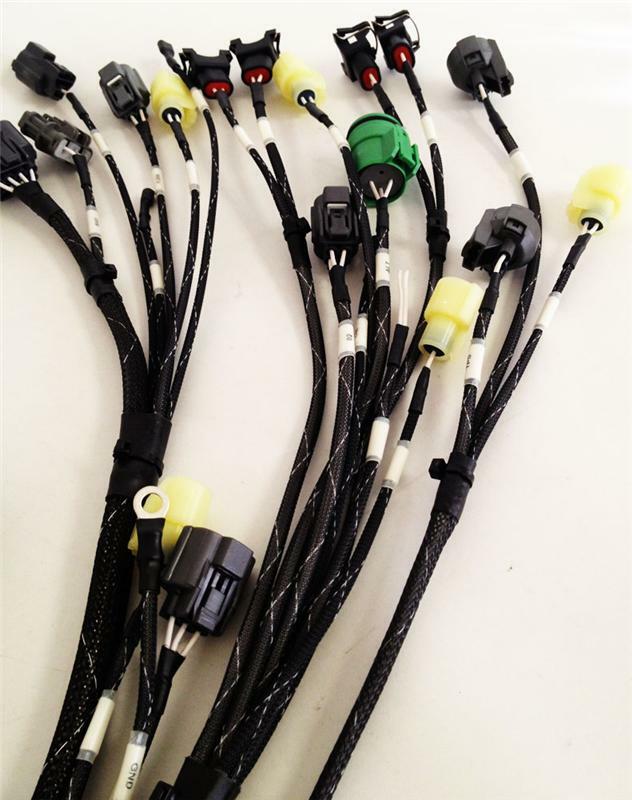 Injector adapters: The Injector adapters drop down menu has all the adapters you would need if you’re selecting the OBD1 or OBD2 connectors but require a different Injector type only. Alternator adapters: We only currently have OBD0/1 to OBD2 adapters (not 2->1) so if you have an OBD1 alternator be sure to select the OBD1 type for your engine harness and use adapters for the injectors and distributor if necessary. HARNESSES ARE NONE RETURNABLE SO PLEASE BE SPECIFIC ON YOUR DESCRIPTIONS!! !